A great business idea is worth nothing without a decent marketing plan. It’s even more important when you’re operating in a highly competitive area. So, how do you gain that marketing edge? It’s time to think outside the box and find some alternative marketing techniques. In this digital age, getting active online shouldn’t be an alternative, but still too many businesses rely on bricks much more than clicks. Whatever the product or services you offer, chances are that most of your customers are active on social media, so go over there and meet them. Come up with a comprehensive social media strategy that will allow you to set realistic and measurable goals while focusing on metrics that matter for your brand. You will then need to consistently and frequently update your accounts with engaging content that speaks to your target demographic. Before getting online though, do your research and decide how you want your brand to come across. An alternative approach, like a playful outlook and lots of fun surprises, might work very well for some businesses. Others may prefer to convey a serious approach that is more suitable to their line of work. The important thing is to be authentic online, but also to be consistent in the way you put over your own authentic image. Social media is also a great place to draw inspiration for your broader marketing approach. You will get the chance to learn more about your audience, their preferences, and what sort of content is close to their hearts. Neuromarketing is a great alternative strategy that is overlooked by most companies. The term refers to harnessing knowledge about how our brains work and what makes them tick in order to promote marketing objectives and boost sales. Some of the scientific techniques used in neuromarketing involvw measuring brain waves through functional magnetic resonance imaging and researching how facial muscles are activated. Luckily, you won’t have to do any of that – just keep up to date with relevant research on how neuromarketing can help you to be more persuasive. For example, according to the principle of artificial scarcity that relies on our inclination to prefer avoiding losses over gaining rewards, coming up with offers that are only valid for a limited time makes them more appealing to customers – just like the seasonal sales. The principle of reciprocity is also a great way to boost your market presence. 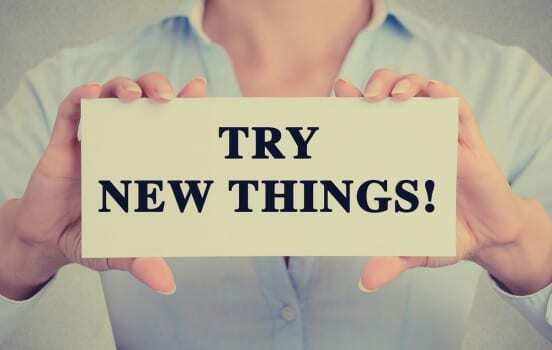 If your company offers something for free, customers may feel more of a connection and willingness to reciprocate with a future purchase. Consider a free sample of your services for prospective customers, a freebie when they visit your website to register on your newsletter, or perks to reward loyal clients. Finally, keep in mind the three-tier pricing approach: whenever possible, try to offer your services in three tiers. Something along the lines of standard, upgraded, and premium. Most people will go for the mid-range option, just because it sits in the middle of the other two. A lot of successful companies have built a unique relationship with their audience by engaging in charitable work, or corporate social responsibility. Depending on the type of your company, this could be a win-win strategy. If your business is mainly geared towards local clientele, consider becoming a pillar of your local community. Host charity events, contribute in local community centres, and engage with volunteering opportunities to see how you could offer more. This will not only earn you respect and positive feedback from the community, but it will also increase your exposure and establish a mutually beneficial relationship of trust that will promote your brand. People will know that you have invested in them and will support your business in return. Engaging with your audience is unique to each business – but incorporating an alternative marketing approach to your strategy could go a long way towards generating a more sustainable business.